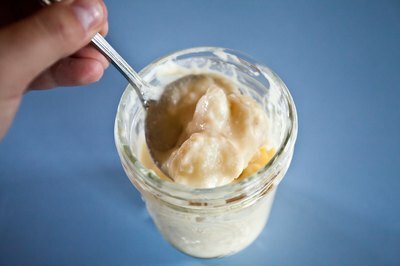 Potato soup makes a hearty main or side dish and if you can it in jars, it will keep for months. With its neutral base for spices, herbs and other ingredients, many cuisines have their own version, from China's sweet potato soup to French vichyssoise soup. 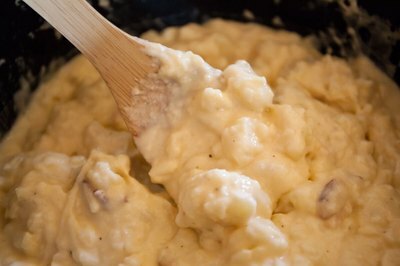 Choose a potato soup recipe that does does not include any dairy products because it is not safe to can. 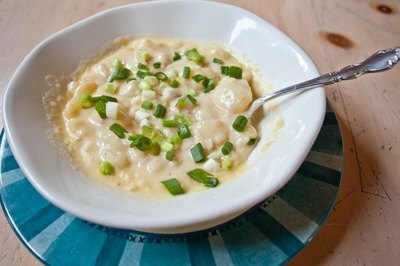 If the dairy is essential, omit it when you make the soup and add it when you are ready to serve. Similarly, substitute any butter in the recipe for oil. Make the soup according to the recipe and heat it to boiling right before canning. 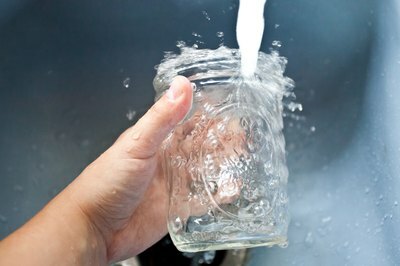 Sanitize the canning jars and lids according to manufacturer's instructions. Pour the soup into the jars with a ladle, leaving 1 inch of head space. 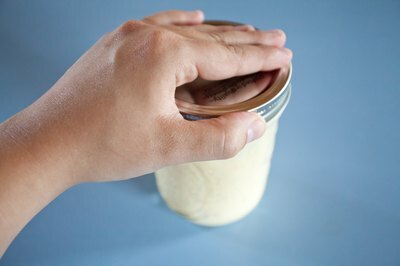 Place the lids on the jars, tightening them enough so they are barely secure -- do not over-tighten. Process the soup in the pressure canner for 75 minutes. Remove the jars and place them on a clean cloth on the counter for 24 hours. 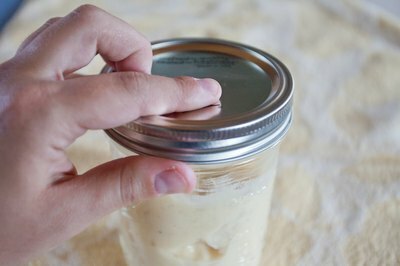 Check all the jars to ensure they are properly sealed by pressing a finger on the top of the jar. 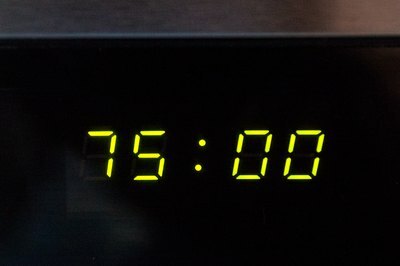 If it does not move, or pop up, it is sealed. If some jars have not sealed, store them in the refrigerator and use the soup within two days. Tighten the lids slightly and store the sealed jars in a dry, cool pantry. The soups can last up to a year stored in a pantry. The National Center for Food Preservation suggests only using a pressure canner rather than a hot-water canner, to process home-canned soups, otherwise there is an increased chance of botulism. Always make sure the jar has sealed properly. What Spices Go Best With Ham and Potato Soup?